Interested in opening an account with Penn East FCU? Please fill out the form below and a Member Service Representative will be in touch shortly! 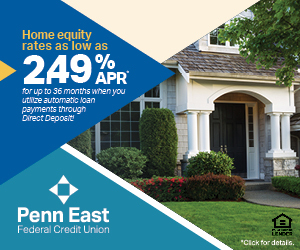 Penn East FCU may even be able to save you money by refinancing your current loans from other financial institutions! Indicate YES in the box if you would like to reserve a credit report review with a Penn East FCU Loan Specialist!